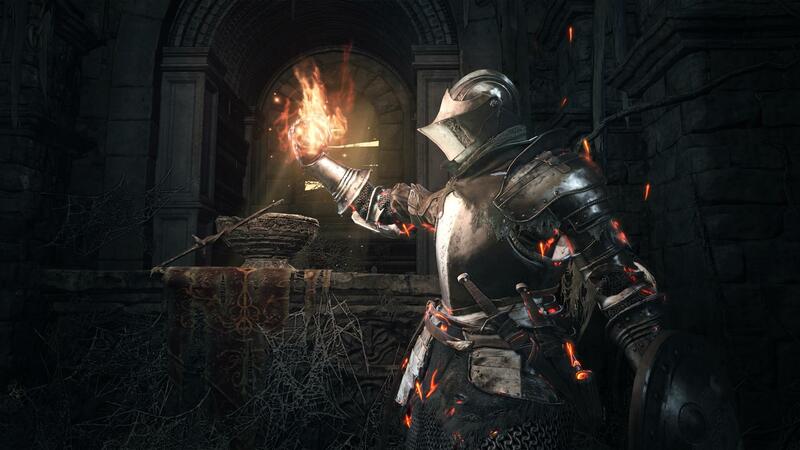 Looks like Dark Souls fans will have the opportunity to spend a bit of money. 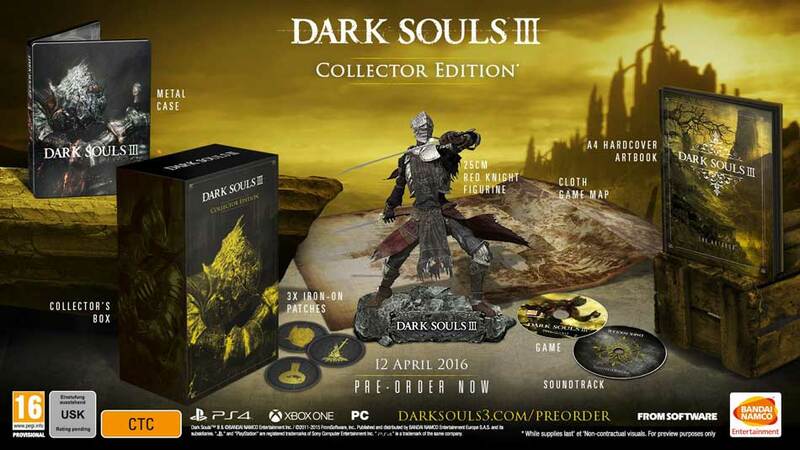 Two Dark Souls 3 special editions have popped up on an international retailer. 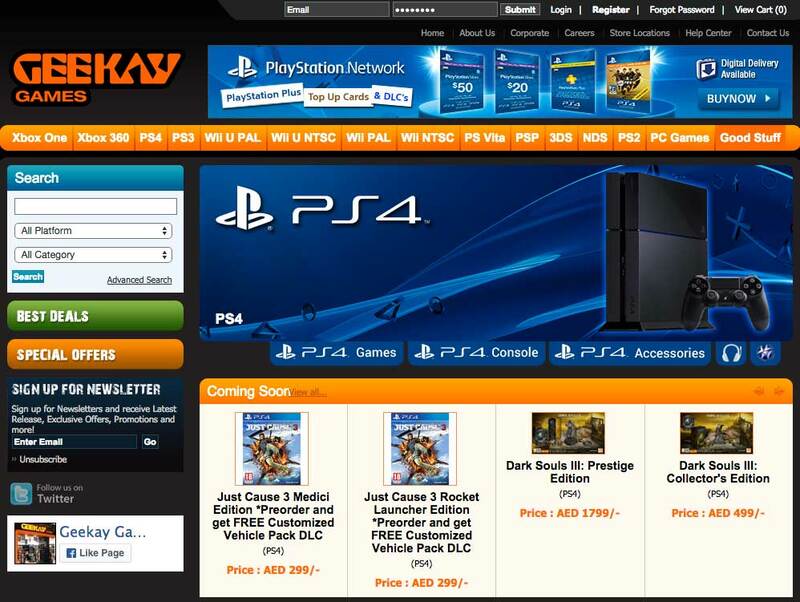 United Arab Emirates retailer chain Geekay Games has a Collector’s Edition and a more expensive Prestige Edition available for pre-order, for both PS4 and Xbox One. The Collector’s Edition includes a collector’s box, metal case, three cloth patches, cloth game map, hardcover artbook, soundtrack and 25cm Red Knight figure. 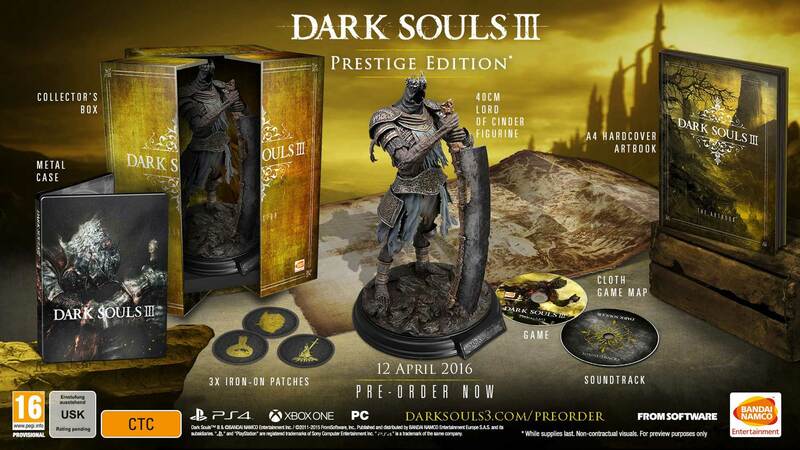 The Prestige Edition has all the same goodies, but a 40cm Lord of Cinder in place of the Red Knight, and a fancier box to accommodate the larger figure. The images posted on the listings look pretty legit, and I wouldn’t be terribly surprised if these editions were confirmed and listed on local retailers soon. We’ll check in with Bandai Namco, of course. The Collector’s Edition is priced at AED $499 ($135) and the Prestige version goes for AED$1,799 ($489), which seems absolutely bonkers. I couldn’t see any other special editions to compare these prices to, but they’re way, way above standard RRP elsewhere on the site. If it all turns out to be real, expect those prices to tumble for North American and European release. Dark Souls 3 is launching globally on PS4 and Xbox One in April, following a March 24 Japanese release. Check out the special edition images below, as well as a grab of the listings in situ in case the links are pulled.